Duggar fans rejoice– there’s a lot more Counting On coming our way in 2017! Love them or hate them, the Duggars certainly aren’t going anywhere any time soon. The family announced today that the third season of their TLC reality show will premiere in January 2017, just two months after Season 2 ended with the Jinger Duggar wedding episode. Some fans felt slighted because the episodes leading up to the wedding episode were just clip shows with previously aired footage, and did not show the events and planning that took place before Jinger’s and Jeremy Vuolo‘s wedding. 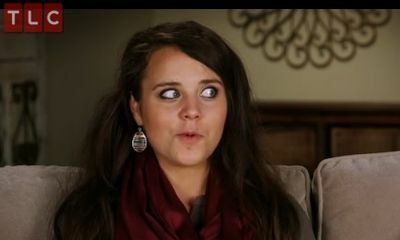 According to the just-released Season 3 trailer, though, the new episodes will take viewers back and let them see all of the pre-wedding festivities, including Jinger’s trip to shop for a wedding dress. Season 3 will also cover Jessa Seewald‘s current pregnancy. (Back in August, Jessa announced that she and her husband Ben Seewald are expecting their second child.) JoyAnna Duggar will also be getting some screen time this season, due to her newly announced courtship with Austin Forsyth. Jim Bob and Michelle make me almost as sick as Josh does. Honestly, so does TLC. Great example they’re setting. Saying it’s a-okay to coverup that your son is a sexual predator by putting them back on TV. Why does Jessa always try to act like she might be having twins? She did that the first time too. It’s like the thirstiest thing I’ve ever seen. Well in her defense, she didn’t get any as a child. What’s the point of airing the wedding prep footage AFTER the wedding episode airs?? We already know the dress, flowers, colors, etc. Why not just air the wedding in season 3? So let me get this straight. It’s basically always the same: babies, weddings, courtships over and over again. Thanks but no thanks. Hey ashely I was wondering if you heard that the honeymoon will be filmed? I was wondering because in some magazines they said that it was filmed and will air on season 3 also. Hey ashely I’ve read that they have filmed the honeymoon and it will air on season 3 also. Is this true?